10 point guide explained by Timothy Hay, Managing Director, of New Hall Lodge Park, Dovercourt, Essex. 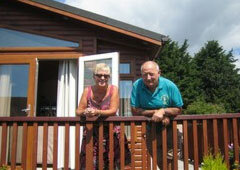 Our luxury holiday lodge homes are available for purchase on a 90 year licence. They offer extremely good value for money with ground rent at just over £2,800 per year (including water rates, ground maintenance, residential wardens and refuse charges). Walk up the elegant steps into your lodge, and you'll feel at home within minutes, thanks to top quality furniture, luxurious upholstery and a superb range of fittings and appliances. You'll have all the comforts of home.